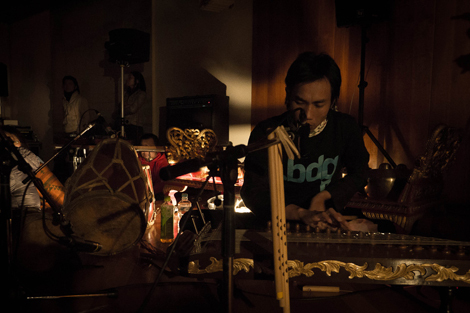 The Kyoto performance of the Asian Meeting Festival was held on February 8, 2015. This single concentrated session lasting just under 90 minutes – which felt all too brief – courtesy of a lineup of 14 artists including Ensembles Asia artistic director Otomo Yoshihide, was suffused with the complex heritage of each variety of music, plus an almost palpable sense of locality, and an unmistakable connection between the music of diverse artists, a connection developed by these steadfastly non-commercial musicians without any major official patronage. Ensembles Asia is sponsored by The Japan Foundation Asia Center, launched in April 2014 and the product of a new policy of Asian cultural exchange designed to promote cultural interchange with Japan’s Asian neighbours, chiefly the ASEAN nations, announced by the Japanese Government at the ASEAN-Japan Commemorative Summit Meeting held in December 2013. Despite the all-encompassing designation Ensembles “Asia,” it is the ASEAN nations that are the Center’s primary target, so for the moment the project is constrained by this narrower focus. Moreover, rather than running over each single year, the project is to be rolled out over a longer time period, sights set on 2020 when Tokyo is due to host the Olympics and Paralympics. Knowing this, one could describe Ensembles Asia as one facet of a politically-calculated Japanese government push for cultural hegemony in Asia, at a time when in the contemporary art arena, for example, Japan is already lagging behind Singapore, Hong Kong and Korea. At the very least, systemically, it is hard to avoid this suspicion. Otomo for his part however is doing his best to distance the festival from stifling political machinations of this sort, and this day there was a sense of openness and harmony that demonstrated its undoubted potential, due most likely to the total absence of any stunted notion of Japan leading Asia in the musical arena, and the fact that the cross-border collaboration delivered by the festival in forms we could see (and hear) for ourselves had already been cultivated previously by the musicians themselves. 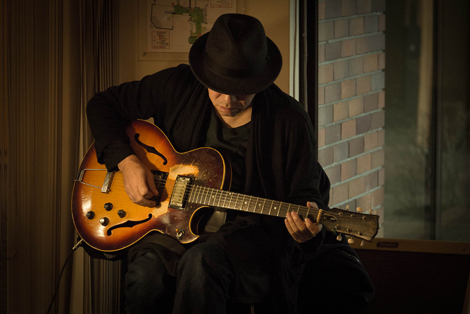 One could go so far as to attribute this collaboration to Otomo, driving force behind the festival, thanks to the numerous pioneering musical ventures – albeit sometimes of a small and very local scale – he has embarked upon across Asia, particularly in Hong Kong, and also in the West. Seeds thus sown have over time born fruit, spawning spontaneous links between musicians in disparate locations. Ensembles Asia comprises three projects: the Asian Music Network, Ensembles Asia Orchestra, and Asian Sounds Research. 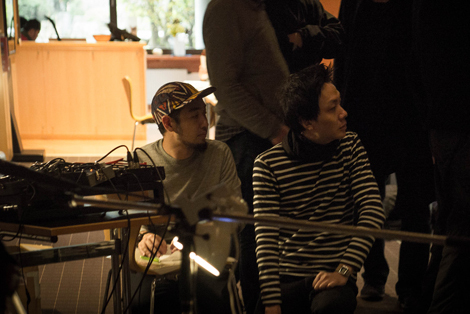 Overall director Otomo has in turn appointed directors for each project, and the project directors for the Asian Music Network are dj sniff aka Takuro Mizuta Lippit, and Yuen Chee Wai. 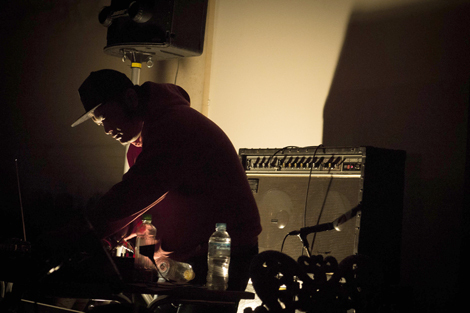 Musician and curator dj sniff is currently based in Hong Kong, following a stint as artistic director at STEIM in Amsterdam. 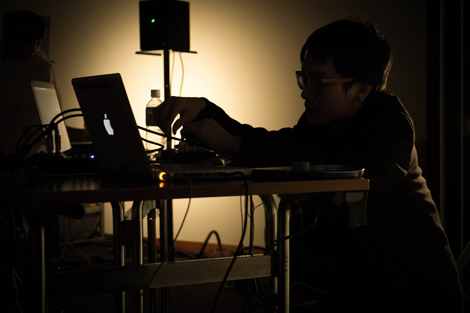 Yuen, working mainly in Singapore, has since 2008 been a member of the FEN (Far East Network), formed along with Otomo et al. The stated aim of the Asian Music Network is to connect artists engaged in unique endeavors on the Asian music scene in a manner unfettered by traditional values or the demands of commercialism, and this festival is positioned as the first presentation of its achievements. One can easily imagine, furthermore, how working together in session, dialoging in the literal sense of the word, and then performing on the day must have served as a training camp of sorts for the participating artists. No doubt through performing they will expand their musical lexicons, return to their own areas of activity to further hone their music, present the results, and repeat this process, in turn generating more wonderful new sounds and connections. 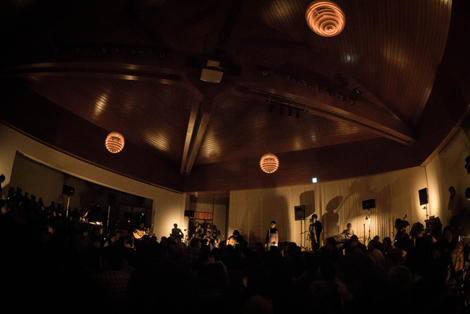 The hall serving as the venue had the performers positioned around the audience. Would it be overthinking to wonder if the very layout of the venue, with its lack of frontality, bears a similarity to the project in its entirety? 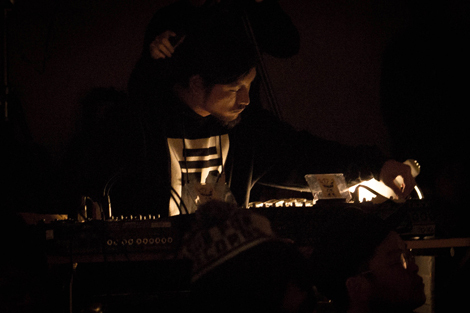 The performance, which kicked off with the powerful noise of Nguyen Hong Giang, To Die, and YPY (Hino Koshiro), was not some macho improv battle designed to show off each artist’s music, but more a polite jam session in which all those making sounds joined forces to preserve balance, and at times deliberately upset it. Unless in the very center of the room, the music you heard would have varied considerably depending on the seat location. 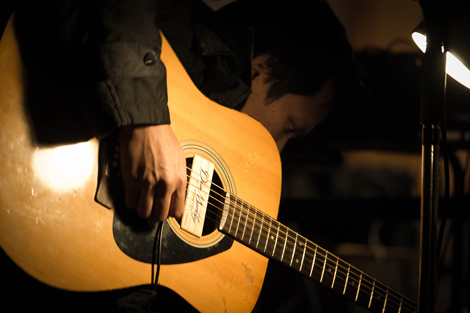 Sitting between Nguyen and YPY, I had a good view of guitarist Bin Idris’ hands, and thus for me, particularly during the final stages of the performance, the sonic dialogue was dominated by the sounds emanating from him. Melodious tones were clearly audible to these untrained ears, but even minus melody, the cello and voice of Yui-Saowakhon Muangkruan proved incredibly powerful, rendering me breathless time and again. And the various sounds emanating from vocalist Kok Siew Wai – like nothing I’d ever heard before – carried well, whether quiet or loud. In some cases, one could hardly see anything of the performer, let alone their hands: Iman Jimbot, who performed seated on the floor, being one example. But contrary to expectations, this actually enriched the listening experience. Every time a tiny soft light glowed, indicating that a performer was playing, one naturally tuned in more carefully to hear the sounds in the darkness. Not introducing the performers before they played surely also encouraged the audience to focus their attention more on the sounds themselves. It was a performance reminding us that the music we know of is but a tiny fraction of a worldwide phenomenon, and that music unknown to us, sounds that are not musical, and sounds we cannot even imagine, exist in infinite quantities. 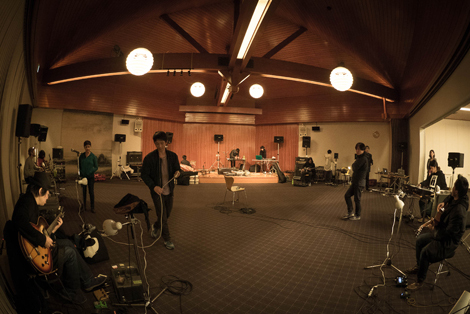 In this, the concert conveyed the project’s potential for future expansion. 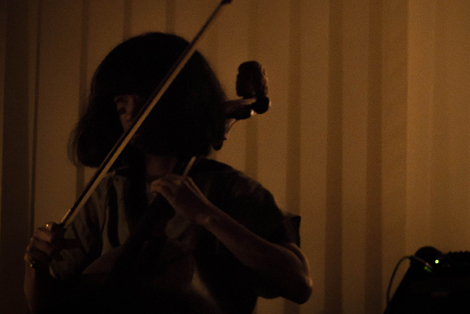 Following this festival, expectations of Ensembles Asia, in its pursuit of the enormous potential of music unburdened by nationality, open to the invisible, the inaudible, and the unknown, are certain to be raised. Born 1978 in Shiga Prefecture. Completed coursework at the Graduate School of Human and Environmental Studies, Kyoto University. Curator since 2008 at The National Museum of Art, Osaka where she organized “Kaza Ana / Air Hole: Another Form of Conceptualism from Asia” (2011) and “The Deconstruction of the “I”: An Experiment by Kashihara Etsutomu” (2012). 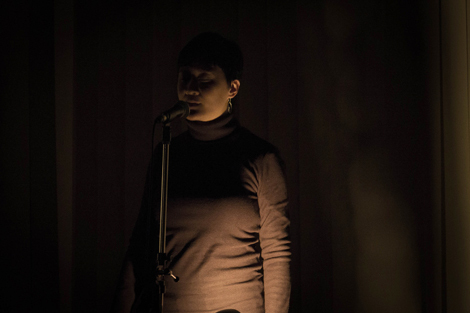 Co-curator of “Omnilogue: Alternating Currents” (PICA, Austrailia / The Japan Foundation, 2011). Co-translator of Jonathan Crary’s Suspensions of Perception: Attention, Spectacle and Modern Culture (Heibonsha, 2005). Leslie Low (SG) – Voice,etc. Bin Idris (ID) – Voice,etc.